2018 has been a momentous year for K-Pop. BTS became the first K-pop group to reach No. 1 on the Billboard 200 charts. Monsta X is back in the U.S. to finish the year as the first K-pop group participating on the nationwide Jingle Ball tour, performing alongside acts such as Shawn Mendes, Cardi B and Calvin Harris. And Super Junior broke into the Latin American charts with “Lo Siento”. Alongside all these new accomplishments fans have been also gifted with something rare: English and Spanish versions of K-Pop songs. With the Eastern market being in a restless political state from the THAAD agreement, these new language versions of songs signify a new wave of how K-pop is expanding its attention to new markets. K-pop is no stranger to creating different language versions of their hit songs. Releases are often packaged with Japanese and/or Chinese tracks and some K-pop groups debut with members of different nationalities in effort to promote the group to their native countries. Learning a different language, commonly Japanese, has become a requirement of a trainee’s curriculum as it can help secure the future success of their group. Reason being, Japan has the second largest consumer market in the world and as a neighboring country this market is very enticing. Groups that were once big in South Korea have gone on to find greater financial success in Japan. 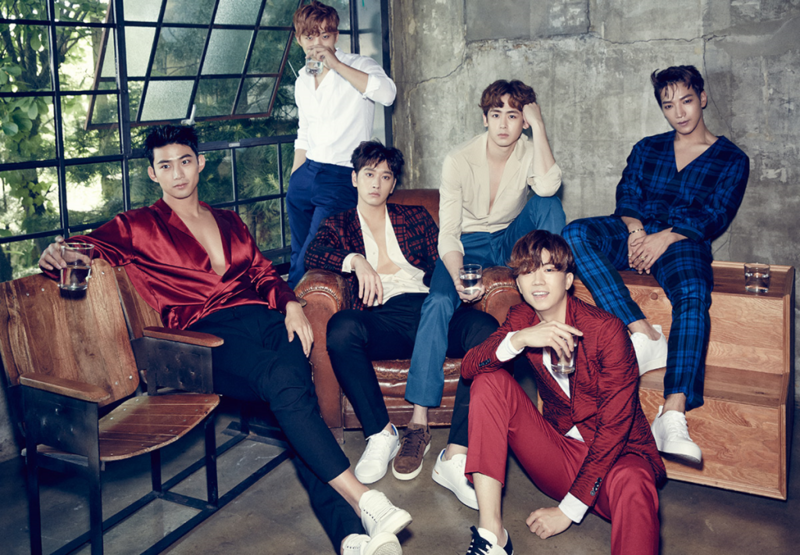 Older groups such as TVXQ, Big Bang and 2PM have been promoting consistently in Japan versus releasing a promotional song in South Korea maybe every once or every other year. K-pop has also dipped their feet in the Chinese market. As the 3rd largest consumer market in the world, China’s prospects have always seemed very lucrative. 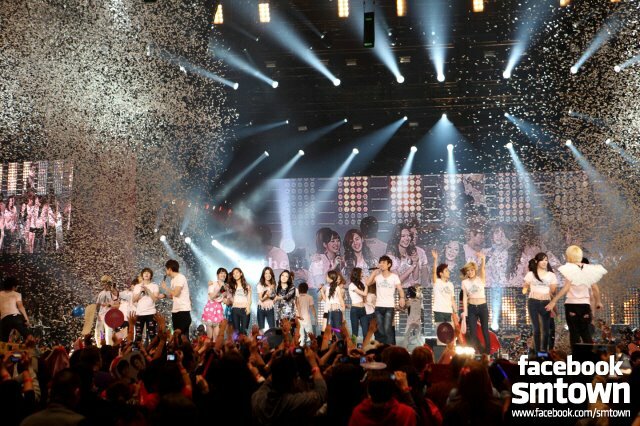 SM Entertainment has experimented with this market with different group types catered to the Chinese market such as Super Junior-M and Exo-M; however, with the current state of political relations severely limiting the import of K-pop between the two countries K-pop has turn their attention more towards the west. While K-pop had successfully attracted the East and South East Asian markets, K-pop set its eyes on it’s next attraction: the U.S. By 2009, South Korean artists were making U.S. debuts to try and break it into this market. In an interview with BoA with her 2009 “Eat You Up” album she mentioned how it is a dream for every Asian artist to go to Hollywood or the Billboard charts. Girl’s Generation (SNSD), Wonder Girls, and Se7en had similar dreams with English releases, talk show performances, and television movies but even with the support of the David Letterman, Jonas Brothers, Lil’ Kim, etc. South Korean artists were unable to make the U.S. market. So what is different about now? Since 2009, K-pop has grown significantly in international fandom, giving K-pop artists the support they need to go abroad. A way to gage this growth can be seen through KCON. KCON began its roots in 2012 in Los Angeles with 20,000 people in attendance. 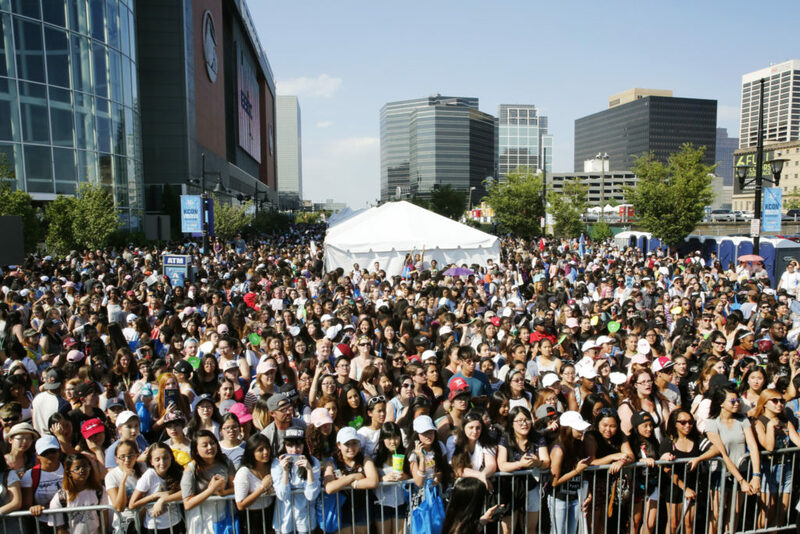 By 2015 KCON grew to 3 other cities around the world and attracted approximately 107,000 in attendance that year. And KCON has expanded to cities such as Abu Dhabi (2016), Mexico City (2017) and Sydney (2017). Fast forward to 2018, there is now an influx of English version songs. Henry and Hyo released a English versions of their songs through SM Town Station. Red Velvet just released an English version of their newest release “Really Bad Boy” in anticipation of their upcoming U.S. tour in early 2019. Monsta X have an English version of “Shoot Out” that they will be performing this during the Jingle Ball tour. BTS — who have already experienced success in the U.S.A. with Korean language releases — also put out their first English collaboration with Steve Aoki, “Waste It On Me”. Also, SNSD member Tiffany has returned to the U.S. to solely focus her music career as a solo artist with English releases. Even with the stream of English releases, the U.S. market is known to be the most finicky one in the world. Luckily, the U.S. market is not the only Western market K-pop is looking toward. Got7 and Super Junior were the groups this year to jump ahead of the game and catered their music to an overlooked market: Latin America. From a data surveyed in 2014 by Korea Creative Content Agency, Latinos were second largest K-pop fandom after Asian Americans. Korean drama streaming sites have found similar statistics with Latin American viewers placed as the second largest audience after the U.S. Youtube statistics also show most watched counts of K-pop videos are coming from Latin American countries. However, the appeal of the Latin America market is not because it’s ranking in the consumer market but rather through a fandom demand. More interestingly, the demand of the Latin American market not only stems from the fandom, but also from a demand for Latin American music in the U.S. market. Latin American music has gone mainstream, as seen in the Billboard Hot 100 charts in 2017, “Despacito” led No.1 for 16 weeks and 19 predominately Spanish-language tracks made it onto the chart. In the first half of 2018 Latin music saw a rise of 15% in total revenues and revenues are only predicted to continue to rise over the Latin music global phenomenon. K-pop knows the popularity of Latin America and their music. K.A.R.D. is a group heavily influenced by the Latin/reggae ton styles and as a rookie group toured in South America in 2017 and 2018. Many other K-pop songs are also influenced by Latin music; take for example of (G)I-dle’s “Latata” and Mamamoo’s “Egotistic” both songs that won numerous music show awards this year. Even Music Bank recognizes the potential of Latin America as they have hosted their concert tour in South America several times but not once in the U.S.
Got7 and Super Junior are the groups to break the language barrier and by doing so open themselves to be a part of a different market rather than being just visitors. Got7 connected with their Latin Ahgase fans by becoming the first K-pop group to release a full K-pop song in Spanish with “Lullaby”. Super Junior went full speed ahead and collaborated with some of Latin America’s most popular acts: Leslie Grace and Reik. Super Junior’s collaboration was one of the smartest marketing moves as it allowed them to enter not only the South Korean and World charts, but also into the Latin songs chart. Leading the Latin American charts may be a clever way to lead the U.S.charts. What’s next? K-pop has a lot of land to cover with other untapped markets such as Europe and the Middle East. K-pop groups often will make a tour visit to a European city but tours dedicated to all over Europe are almost unheard of. The market in Europe has proven to be difficult logistically; there are different promoters to work with for each city and Europe has a larger diversity of languages. There are more than enough fans in demand, but working in Europe has proven over time to be a large gamble. Boy band A.C.E. took this gamble though and has proven this market is possible with their release “I Feel So Lucky” in collaboration with French producer DJ HCUE. K-pop is also starting to see prospective into the Middle Eastern market. KCON made a successful visit to Abu Dhabi in 2016 and SM Entertainment hosted their live concert in Dubai of this year. Could there be an Arabic K-pop song coming soon? There is very exciting future ahead for K-pop as the music in being pushed further into new markets and artists begin to connect further with their fans through different languages. It should be noted K-pop is expanding its market not because they are changing their language. 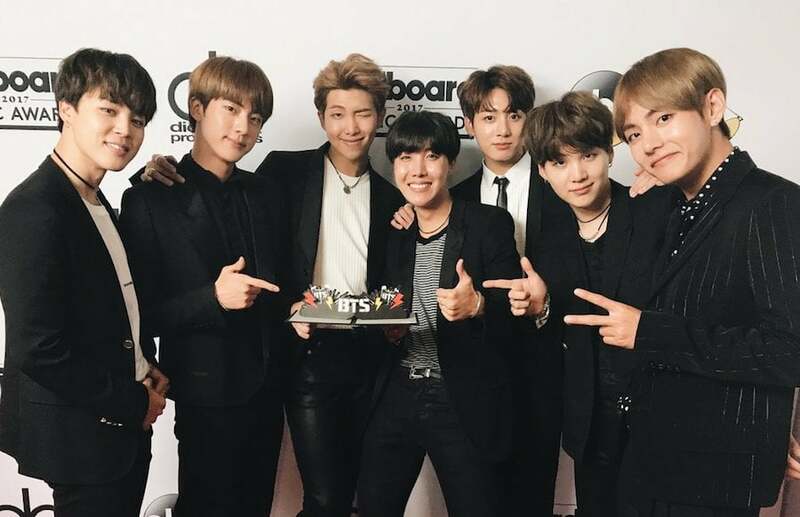 K-pop has already gained their soft power through the Korean language; take a look at BTS and their rising success. The albums that have charted the Billboard charts have no strayed away from being in Korean. The THAAD agreement may have caused a lot of difficulties in expanding the K-pop market in the east but when one door closes a dozen more open. Billboard , Japan Times, Korean Herald, Metro, Remezcla , SBS, Wikipedia . 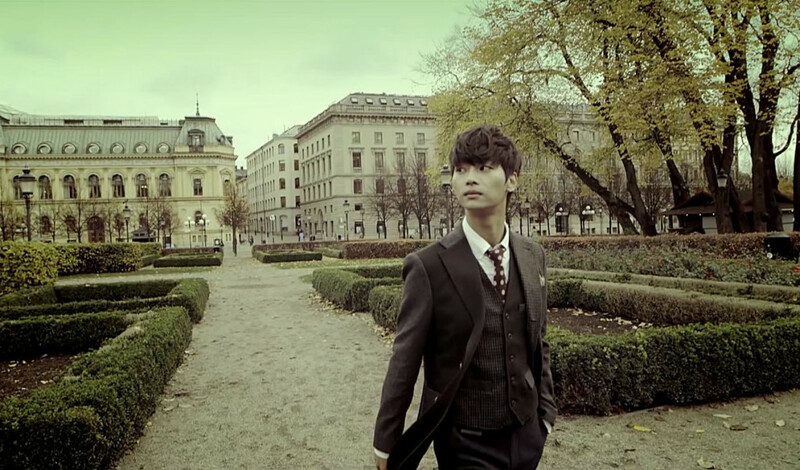 Images via Big Hit Entertainment, JYP Entertainment, SM Entertainment, & Jelly Fish Entertainment.